Canada, with her majestic mountains and cold winters is the perfect wonderland for skiiers and is a country full of modern, well-maintained and easy-to-access ski resorts. It’s no wonder thousands of visitors cross the border into Canada every winter to enjoy a fun-filled ski vacation. Of the many ski resorts here are five of the best. 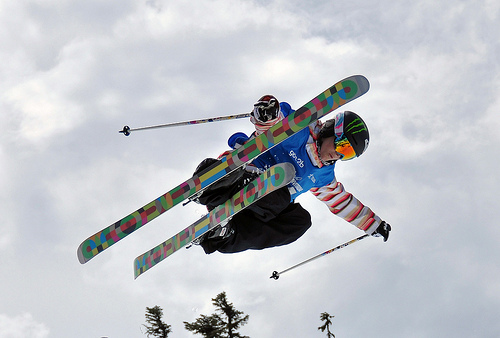 Whistler Ski Resort, the site of the 2010 Winter Olympic Games, near Vancouver, has been regularly rated the top mountain resort in all of North America and with good reason. It offers two magnificent mountains, Whistler and Blackcomb together, with over 8,000 acres of terrain for an unsurpassed skiing experience. When taking a break from skiing, the vast, yet cozy and picturesque, Whistler Village, at the foot of the mountains offers shopping, restaurants and enough accommodation choices to suit almost anyone. Peak 2 Peak gondola with the longest unsupported lift span in the world offers transportation between the two mountains with a spectacular view from 6,000 feet in the air. Private, semi-private and group ski lessons are available for all ages. Located just an hour and a half away from Quebec, Mont Tremblant in the Laurentian mountains, is not the largest ski resort but the oldest, and has a unique appeal all its own. It offers ideal skiing conditions with 600 acres of terrain. Mont Tremblant has been in operation since 1939 and was the first ski resort to open in Canada. For an unsurpassed experience in relaxation, there are three spas in Tremblant to choose from, including the Scandinavian baths with dry sauna, outdoor baths and waterfalls and Swedish massages for pure indulgence after a long day of skiing. Kids Club is available to take care of the young children so parents can enjoy skiing with no worries. Banff, which is situated right in the middle of Banff National Park in Alberta, is one of the most picturesque locations for skiing in the world. Three ski resorts, Mt. Norquay, the Lake Louise Ski Area, and Sunshine Village together make up almost 8,000 acres for some of the best skiing around. Mt Norquay is the training location of many Olympic and professional athletes, and is the only one of the three Banff resorts to offer night skiing. Lake Louise Ski Area is known for its spectacular scenery of beautiful lakes, forest and glaciers. 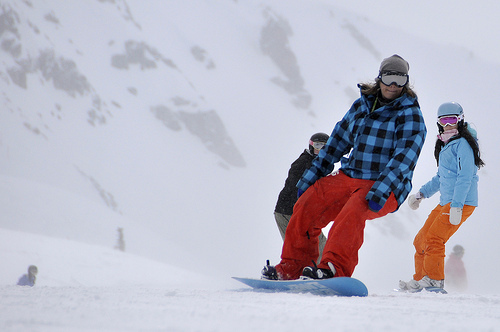 Both of these resorts are appropriate for beginning, intermediate and expert skiiers. Finally, Sunshine Valley has the highest elevation in Canada with an average of 30 feet of snowfall per year and a beautiful newly remodeled ski lodge. Sun Peaks, located in British Columbia, north of Kamloops, is the third largest ski resort in Canada and offers family friendly skiing at an affordable price. The well-groomed ski runs make for easy downhill and cross country ski conditions and the friendly staff adds to the pleasant experience. In addition to great skiing, other winter activities include ice skating, sleigh rides and dog sledding tours. Sun Peaks Village offers over 20 cafes and restaurants with delicious cuisine, great shopping, a spa and accommodations to fit every budget. Although kicking horse offers the second highest vertical run in Canada, there are sixty four runs which provide a great skiing experience for every skill level. For the ultimate in skiing, Kicking Horse located 2 1/2 hours west of Calgary, offers Heliskiing for the more daring, freeskiing clinics for those who want to improve their skills and Nordic Trails for both beginning and advanced cross country skiers. 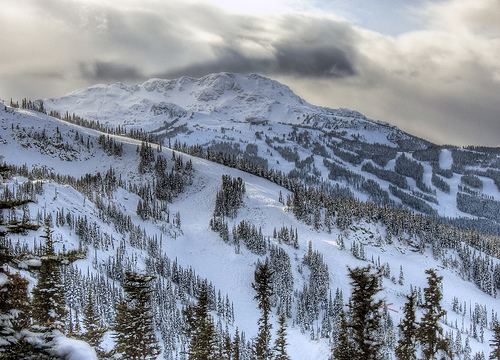 Kicking Horse is known for its light powdery snow and excellent weather conditions for skiing. This resort boasts Canada’s highest restaurant called the Eagle’s Eye, and is constantly adding new facilities at the base of the mountain. With all the wonderful ski resorts to choose from, whether you are a highly experienced skier or a novice, Canada is the perfect choice for a relaxing and fun ski vacation which will be remembered for years to come! If you decide to travel to Canada to take advantage of the terrific skiing conditions be sure and plan ahead. Last minute travel arrangements are often more costly than those that are arranged far in advance. Also, you’ll want to ensure that you’ve got the necessary insurance in the event you rent a car, or need to visit a hospital. There are some great Canadian services like Kanetix which can assist you in comparison shopping for cheap coverage while you’re on the road. This entry was posted in Canada, Skiing, Travel, Winter Sports and tagged Alberta, Calgary, Canada, Quebec, Skiing, Vancouver, Whistler. Bookmark the permalink.